Here’s another exclusive clip from the upcoming documentary! In this clip, several veteran Mongolian rockers and rock fans discuss the importance of The Beatles on Mongolian youth at a time when the West was out of reach. 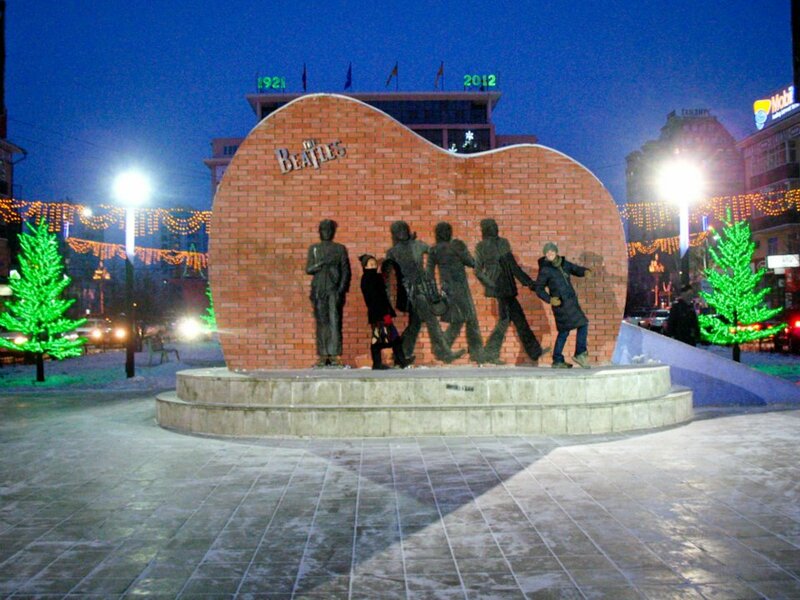 What seems at first like an odd monument to The Beatles in the heart of Ulaanbaatar, is actually a unique way to remember that special period of Mongolian history. Well, I’m in the throngs of editing “Live From UB”. The sad truth about editing nearly a hundred hours of footage down to less than 2 is that a lot of material just won’t make the cut. With that in mind, I’ll be posting clips that may or may not be in the final piece throughout the editing process. Here are two from a day I spent at Amarbayasgalant Monastery with the band Mohanik as they recorded their album. 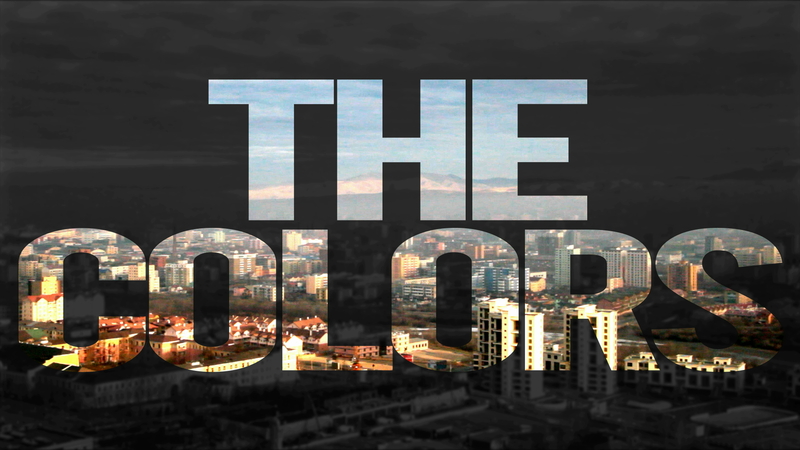 The Colors are one of Ulaanbaatar’s youngest and more promising bands. Though they’re still in high school, the group of 5 boys seems to eat and breathe rock music. Last summer, they were on the line-up at Rock Naadam, the annual rock show associated with the traditional Naadam Festival which takes place between July 11 and 13. I recorded their performance along with the other bands. Remember all of those posts I was writing from Ulaanbaatar, Mongolia over the past year or so? Well, the final product of all that research and filming is an hour-long documentary called LIVE FROM UB. I have all the footage and the story, but I need a little extra help to support the editing and post-production process. I’ve launched an Indiegogo fundraising campaign to raise funds and awareness about the project. You can check it out here. But I’m also hoping to get the word out about this really exciting project. Please tell your friends and fellow Mongolia/Travel/Documentary buffs to check it out! 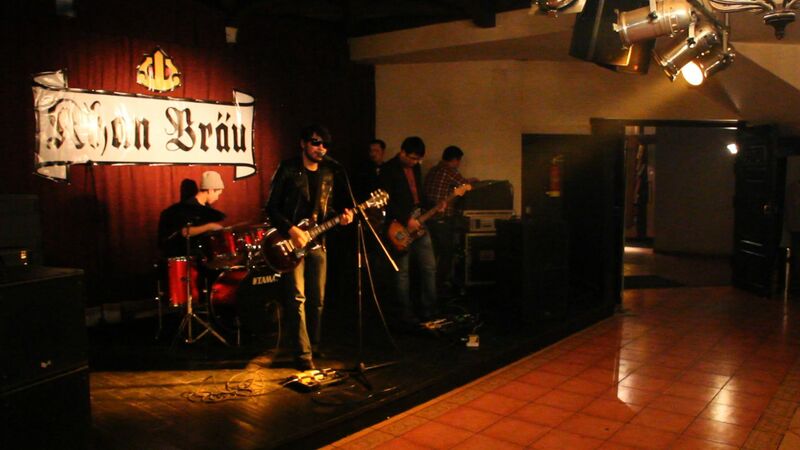 LIVE FROM UB takes viewers into the small but vibrant rock scene in Mongolia’s capitol, Ulaanbaatar (also called ‘UB’). In 1990 Mongolian’s demanded a new government. Tired of the restrictive lifestyle of their Soviet system, they protested throughout the winter until, at last, their demands were heard and a democratic government and free economy were granted. Throughout their struggles, rock music was there. It was the sound of a new generation and the beat of democracy. Now, over twenty years later, the first generation to grow up in this new society is making their own music. But, unlike Mongolia’s rock pioneers, they have full access to the outside world. They grew up on MTV. They download music in instants. They travel to Korea and China to buy equipment. But this new generation, with the world at their fingertips, is also searching for something much deeper – their true identity. The music they produce is proof of the new urban Mongolian – Eastern and Western, Ancient and Modern, Nationalist and Global Citizen. Through the lens of a few of these bands and interviews with experts, LIVE FROM UB explores what it means to be Mongolian today and how that’s shown through music. 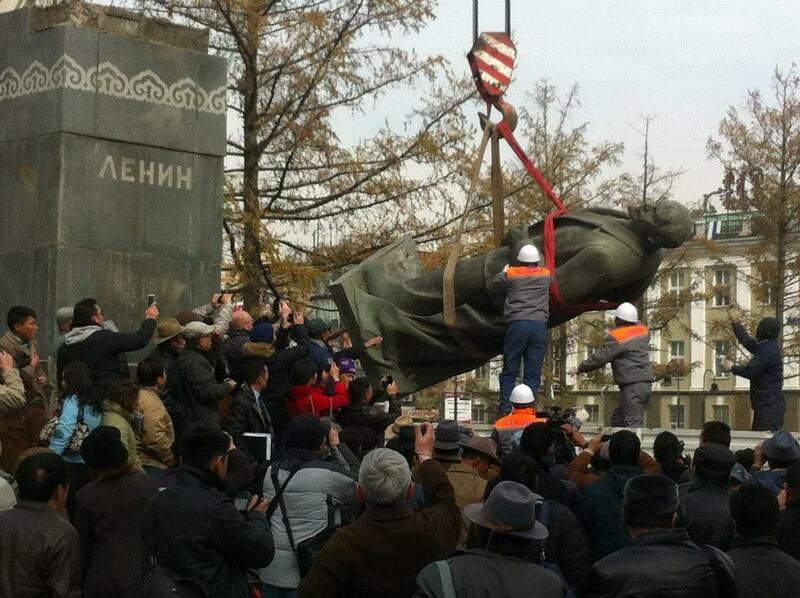 A crowd of about 300 people watched the Lenin statue be taken down from its podium on October 14th. The affair lasted from 10:00 am until 4:00 pm and was mostly low-key. According to a friend of mine, Christa Hasenkopf, there was only a handful of onlookers present until the end, when Ulaanbaatar mayor Bat-Uul gave a speech. She says the crowd was mostly made of middle-aged to older men, just standing around. As it was being taken down, four people threw shoes at the statue (a sign of great disrespect) and then one person waved good-bye as it was taken away. 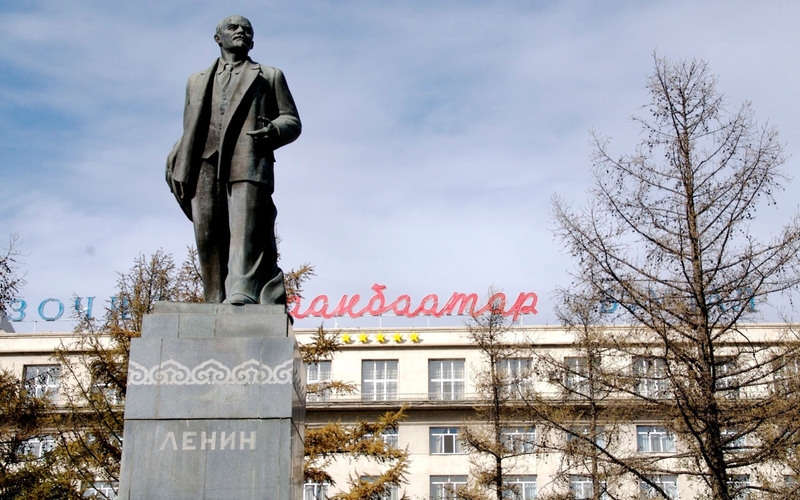 Later this week, the statue of Vladimir Lenin that has been prominently peering down at passers-by off Ulaanbaatar’s central thoroughfare for nearly 60 years will be finding a new home. According to a recent article published by Reuters, the remnant of Mongolia’s soviet days will be up for auction with the bidding starting at 400,000 togrog (less than $300). [City Mayor] Bat-Uul said two companies had already expressed interest, including a tourist “ger” (yurt) camp outside Ulan Bator which already owns a statue of Soviet dictator Josef Stalin. The newly elected mayor has been actively working to improve Ulaanbaatar. By August, only a month after he took office, Bat-Uul had implemented a series of traffic laws aimed at easing the flow on the heavily congested roads. As one of democracy’s loudest cheerleaders, the symbolism of removing Lenin’s statue seems to be of no small significance. Bat-Uul said he was surprised the statue had survived as long as it had, given the millions who died in famines and mass executions under Soviet rule. Four years ago, Bat-Uul was a key figure in the fate of a very different kind of statue. 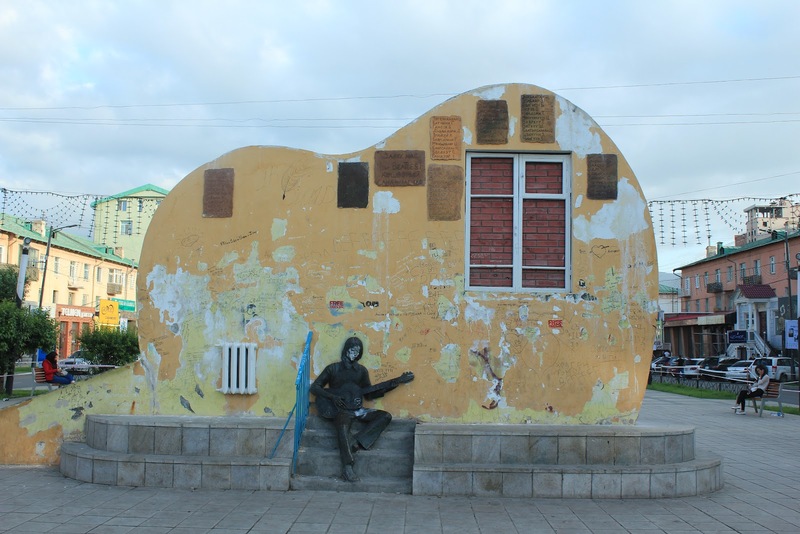 The ‘Beatles Statue’, as it is commonly called, was unveiled on October 9, 2008 as, yes, a tribute to the famous rock group, but also as a reminder of the country’s Soviet past. Most foreigners and many younger Mongolians who see the statue are unaware of it’s symbolism. Many use it as a landmark and commonly refer to Tserenhand St., on which the statue resides, as “Beatles Street”. But the Beatles Statue is actually quite symbolic. In a time when access to the foreign marketplace and Western culture was banned, the Beatles came to represent free society. I’m told by many Mongolians in their fifties that contraband such as ball point pens, jeans and Beatles albums were hot commodities that they would secretly trade. The statue has two sides, separated by a brick wall. One one is a bronze image of the four singers as they appear on the cover of “Abbey Road”. On the other, is a statue of a young Mongolian playing guitar in a stairwell, reminiscent of the days when that was a common occurrence. There’s also a window on this side where a tiny whole has been drilled into the brick (although it was later filled in). This, I am told, is supposed to symbolize the youth peering into western society. 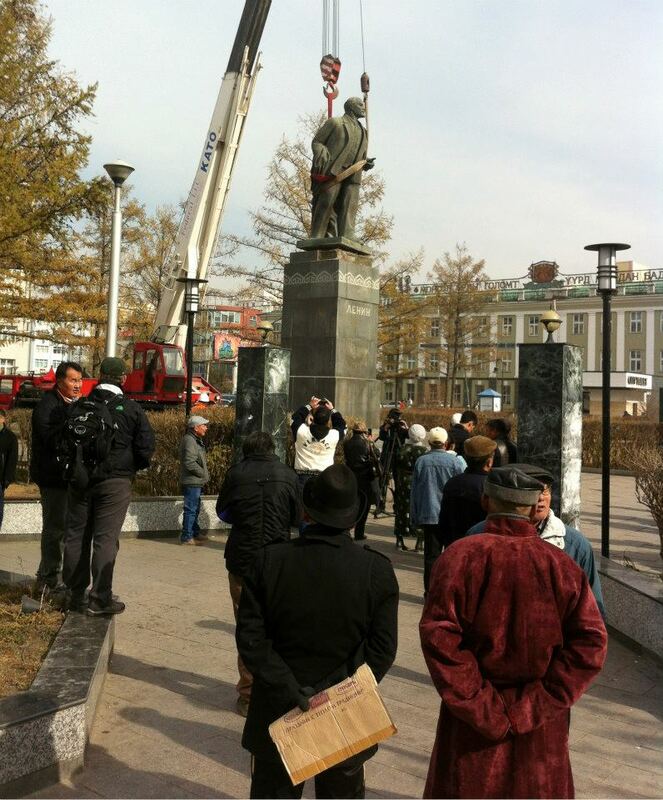 Honestly, I’m a little sad that the Lenin statue will no longer stand as one of Ulaanbaatar’s many remnants of history. Not because I’m a Lenin fan, but because I always liked that the city was full of statues from so many different era’s of the city’s past stood concurrently. The fact that it wasn’t torn down after the democratic revolution, like statues in almost every other formerly soviet country were, I thought was a testament to the Mongolians’ ability to move on. Their revolution was a peaceful one. Somehow allowing the Lenin statue to remain for all these years seemed to represent that. I was happy to contribute an article for “The Next Page” section of yesterday’s Pittsburgh Post-Gazette. The piece gives a brief history of Mongolian rock music but also features Mohanik, one of the bands I was following last summer. Mohanik spent last spring and summer preparing to record an original sounding rock album in the countryside. At the end of August, they brought a crew up to Amarbayasgalant Monastery (5ish hours from UB) and recorded the full album in one day. They let me tag along and film the incredible experience. I’ll be posting more on Mohanik as I sift through all of my footage. This post comes a few days late. I was hoping to write before I left Mongolia last Wednesday, but found myself frantically working up until the last minute. Now, I have been back in the United States for a few days and the past ten months I’ve spent living in Ulaanbaatar already feel like a surreal dream. I have not been posting nearly as much as I would have liked over the summer because I have been so busy collecting interviews and footage. But I look forward to sharing all that I have been working on over the coming months as I begin editing my documentary about rock music in Mongolia. For now, however, I’d like to share some personal thoughts on my time in Mongolia. As I depart from the land of Chinggis Khan, mutton, camels, and seriously adorable babies, I am struck by how fond I’ve grown of this place. It has not been an easy place to live. Crossing the busy streets clogged with honking cars often felt like a suicide mission. Finding a decent (affordable) salad became a small, but not insignificant, victory. Walking down the sidewalk was often an adventure as I would negotiate piles of rubble, uncovered manholes, and hostile nationalists. Learning what I could of the Mongolian language (which my friend claims sounds like aggressive Elvish) was a feat. And simply surviving the brutal and lengthy winter was a major accomplishment. Yet, despite the physical and mental challenges of living in a city like this, I grew to love it. I’m left with two overwhelming impressions of the Mongolian people and culture. First, there is a sense of optimism that permeates the country – from the nomadic herder to the ambitious college grad. Second, I was constantly impressed by the generosity and hospitality of the people who were so eager to help me with my project and time in Mongolia. Mongolia is a small country. It’s landlocked between two political and economic giants: China and Russia. Until recently, the majority of the population survived off of their livestock. The climate is extreme and the infrastructure outside of the capitol is sparse. It’s not an easy place to be. But the challenges seem to only embolden Mongolians as a people. While I might look at the nomadic lifestyle and see a path full of uncertainty, hard labor, and harsh weather, they see an incredible amount of freedom. I might look at Ulaanbaatar and see chaos that I still can’t fully understand, and they see entrepreneurial opportunities. Mongolians are proud to be descendents of some of the greatest conquerors the world has ever known. They know that the wealth of their country lies not only in the natural resources so many entities are eager to extract, but the incredible wilderness and nomadic life that is hard to find elsewhere. They know there is something special about a country that has maintained the same language, script, diet, clothing, and music for over a millennium. If I adopted anything from Mongolia, I hope it is this sense of optimism and self-worth. Over the past ten months I have often said that I wished I had a partner. Filming, interviewing, editing, and researching such an expansive topic as rock music in a language I don’t fully understand proved to be a daunting task. But I did have an enormous amount of help. In fact, I relied on the kindness of strangers for almost all of my research. Almost everyone I have met has been so supportive of my project, offering their time, contacts, advice, interviews and free translation in spades. The Mongolian music community took me in and rallied for my success. The foreign research community has been generous with their knowledge and experience. I owe these people so much and feel lucky and honored to have benefited from their generosity. As I mentioned above, I will be spending the next several months sifting through my massive amount of material and will continue to update this blog. Thank you for following over the past year and I hope you continue to read about the music, culture, and times of the Land of the Blue Sky. Last June, as Mongolians were preparing to head to the polls, I came across a music video on a friend’s Facebook page that caught my eye. It is was called ‘Khonkny Duu – Virtual Version’. ‘Khonkni Duu’, which means ‘The Ringing of the Bell’, is an iconic song in Mongolia. It was written in 1989 as a call for democracy, and quickly became the anthem of the movement. Since then, dozens of artists have performed it in different styles and adaptations. The most recent rendition is the virtual version – a 21st Century appeal to the youth of Mongolia. Strangling my words and blinding me. The ring of the bell rouses us. And revive all our hopes. Note: I mistakenly included one music video that was not “Khonkny Duu” in the original post. Last week, I produced a radio piece about Uugtaal’s Naadam for PRI’s The World with the help of Nina and Taylor at the Vanishing Cultures Project. There’s some great sound from the festivities, including child jockeys singing the ‘Giigoo’ t their horses before heading to the starting line. In case you missed it, you can listen here. One of the most interesting things about a music scene as small and young as the one in Ulaanbaatar is that every band seems to be the first at something. I have met with members of the first Mongolian grunge, punk, metal, folk rock, and alternative bands – all of which are still performing. The Lemons are one of these pioneering bands. They would fall into the post-rock, alternative category and were the first to create a Strokes-inspired sound in Mongolia. The four-person group (plus a regular sound guy) formed in 2004 when they were in their late teens and early twenties. Each member brought different musical tastes to the group, but they all agreed that alternative rock was the way to go. After eight years and two albums, they have now become one of Mongolia’s quintessential alternative bands. The Lemons’ songs are generally high-spirited with bright-sounding guitar riffs. One of the hits off their first album is a tune about a frog princess. After the male protagonist breaks the spell the princess is under, turning her from a frog back into a human, she thanklessly forgets about him. Another hit song is an ode to Ulaanbaatar. Some of the lyrics are poking fun at the soviet-era obsession with production. But it’s mostly just a peppy song praising their hometown. The Lemons say their appearance was no accident. When they first formed, they took care to cultivate a sort of hipster style, buying skinny jeans from abroad since they didn’t sell them in Mongolia. Odnoo, the lead singer generally sports dark sunglasses and a leather jacket while the others are a bit more casually dressed. 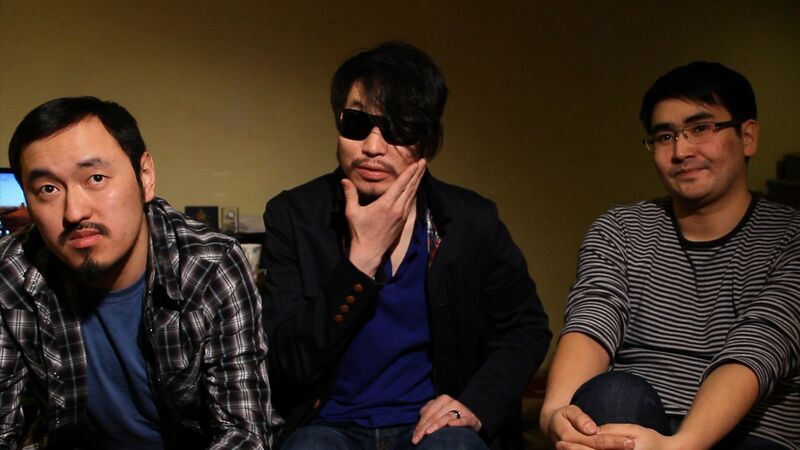 All three band members that I interviewed said it’s not easy being a rock musician in Mongolia. Even as late as 2004, when they first started, it was difficult to find instruments and a practice space – two key ingredients to any band. Now, guitars are a bit easier to come by, but they still struggle to get amplifiers, mixers and electronic equipment. Now, the Lemons are working on their third album, which should be finished by the end of the summer. Their songs have taken on a more electronic sound after importing a special electronic keyboard from the U.S. that helps them create different effects. Before an interview this spring, Tulga showed me some of the unfinished tracks. One song featured a long song singer (a traditional Mongolian style of singing). I thought it worked really well with the electronic sound and added some unique Mongolian flavor to the music. But now they cut the long song, claiming it was too similar to Mongol Pop, a style that blends traditional elements with pop music. When I asked them what they want a foreign audience to know about Mongolian music, they all agreed that just knowing that this kind of rock music is available in Mongolia is enough. Most foreigners come to Mongolia expecting the traditional herders and horses and don’t pay much attention to the rich urban culture Ulaanbaatar has to offer. For them to simply know about the music scene here is enough, they say.